Disclaimer: As you’ll soon notice, this blog post contains some strong expressions and harsh critique. However, I decided not to sleek this blog post, instead giving an honest representation of all the feelings I was going through during these events. The most challenging part about traveling off the beaten path? Getting back on track. 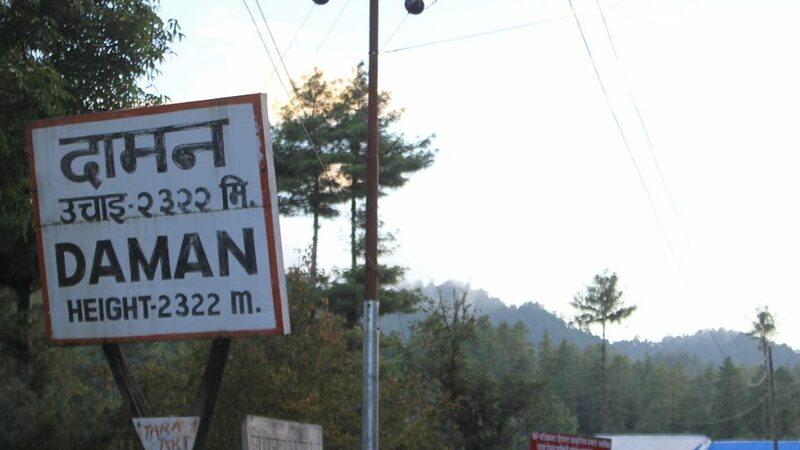 As I wrote in my previous blog post, my last stop between Pokhara and Kathmandu was the quiet village of Daman. Leaving Daman wasn’t too easy, as buses very rarely drive through the village. First, the workers of my guesthouse told me that the bus would come at around 9 AM. As I believed that the bus could appear any minute, I refused an early offer to have some lunch. I had some cookies and a chocolate bar in my shoulder bag, so I wasn’t dying of hunger. Afterwards, I’d learn that skipping the lunch was a mistake. 9 AM passed, and the guesthouse workers changed their estimation: now, the bus would come at 10 AM. Soon, 10 AM became 11 AM. When that time also passed, the locals told me that the bus was coming “in 10 minutes”. And so, I kept waiting, waiting, waiting. When the bus still didn’t show up by 12 o’clock, my hosts just arranged me a ride to a bigger bus stop on a truck that had stopped in the village. When you first come to Nepal, you wonder how an 80 kilometer journey can take four hours by bus. Once you’re here, you can understand why. The roads that snake around the mountains are narrow and steep, so driving fast is out of question. Impromptu stops are also common. The police stopped our bus twice to check some luggage, and one part of the road was nearly destroyed by a landslide, causing another long delay. By the time I arrived in Kathmandu, it was already 5 PM – after an early breakfast, I had only eaten the light snacks I had in my bag. 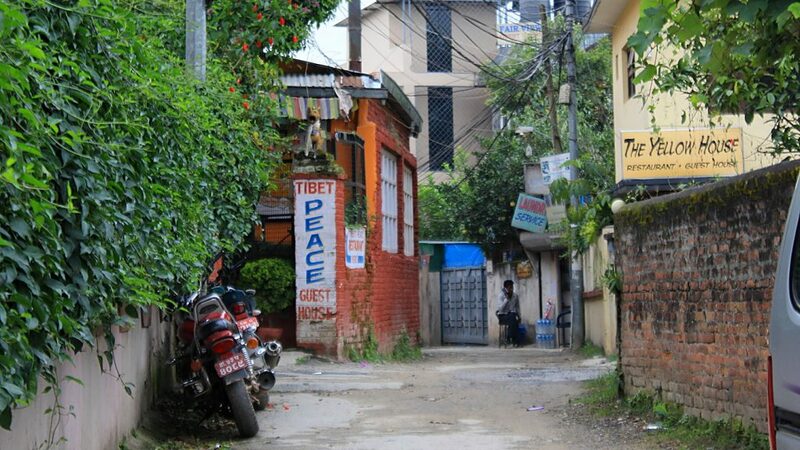 My guesthouse in Kathmandu was located in Paknajol, a quiet area northwest of Thamel. Still, the trip wasn’t over. We stopped at a bus station on the outskirts of Kathmandu – and taxi drivers happened to be on a strike. 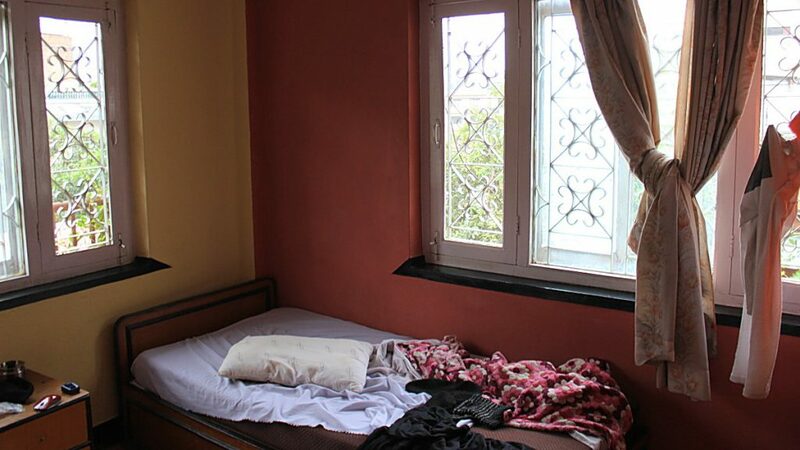 Instead of paying extra fees for them to break the strike (which they clearly wanted me to do) or learning to use the local buses, I decided to walk the five or six kilometers to my guesthouse in Thamel, Kathmandu. The walk was actually nice. I had not hiked such great lengths with my backpack for a long time. The long walk reminded me of the beginning of this trip, when I walked long distances in European cities. When I finally found my way to the guesthouse in a quiet corner of the tourist ghetto Thamel, I was very, very hungry, but I felt happy. Even my guesthouse gave me a good first impression. I felt like I could give Thamel another chance. 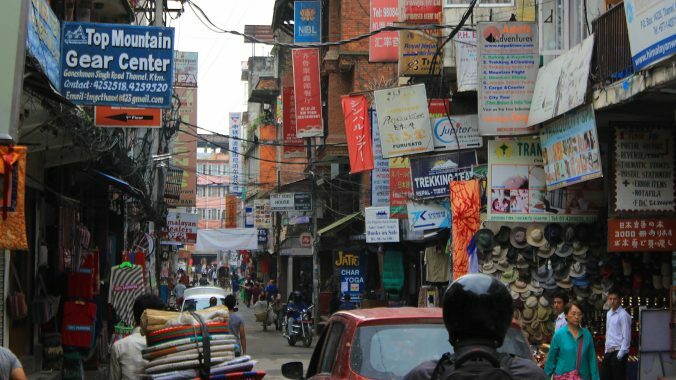 I’ve always disliked the crowded and touristy outlook of Thamel, but it had been a few years since I last visited the place. After that, I’ve become a more experienced traveller, an I’ve gotten more used to scammers and crowds. I reached my guesthouse after six in the evening. I settled in, took a quick shower and asked a guesthouse worker for the menu. “Yeah, just a moment”, the young guy said. I waited for a while in the restaurant area. Instead of a menu, I got another worker who asked what I wanted. “The menu, please”, I said. “I don’t really use a menu”, said the second guy who turned out to be the cook. So, he listed a few foods that he could make and mentioned that they’d make pork later in the evening. I said I’d have dhal baat (a traditional Nepali meal with rice and lentils) first and the pork later. At least my room was nice, and I even got a discount without asking. I ordered my food and started waiting. Minutes passed, and I still kept waiting. And waiting. And waiting. After fifty minutes, I went downstairs to talk to the workers if my food is still coming. All the guesthouse workers were outside at the terrace – wasted and stoned. “Hellooou”, said the first worker whom I met on the stairs. His eyes were enlarged and he seemed extremely happy about everything. “Is my food still coming?” I asked from him. “Yeah man, it’s coming”, he assured me. Fifteen minutes later, I finally got my dhal baat. It was a small portion that I finished quickly. In most Nepali restaurants, offer to fill up your plate if you order dhal baat, but that wasn’t the case here. The restaurant was in a different floor as the kitchen, and I waited in the table for far too long for someone to come. First, I waited for someone to offer the refills. Then, I waited to see if someone would come pick up my empty plate. Then, I waited even longer for the pork – which never came. When I thought about asking for my food again, the kitchen had already been closed. Sure, I could have probably had more food if I had come to ask for it earlier. At that point, however, I was hungry, tired and annoyed. I felt like I should get some service from guesthouse workers without stopping their night out. Pilgrim Book House is my favourite place in Thamel. As usually, I felt much better after a good nights sleep. Despite the hunger, I could sleep well, and my frustration had eased. Still, I ate my breakfast (and all my other following meals) outside my guesthouse. Back home, I’m a very calm person, so it’s been interesting to find these feelings of irritation on the road. Perhaps it shows that I suffer from occasional travel fatigue. 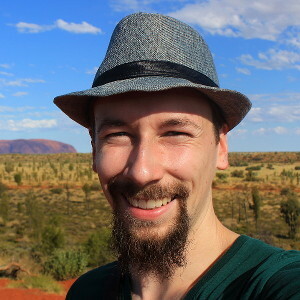 I’ve also learned the the connection between physical and mental conditions: every time I’ve been sad or frustrated, sleep and food have solved the issue. While I still don’t like Thamel, I could enjoy it a bit more on the next day. I liked how I could navigate some of the streets without thinking, as I remember places from my previous visits. Traveling in new places can be tiring, as it always takes some energy to research the destinations. This time, I mostly ate in places I’ve known before (thank you OR2K!). 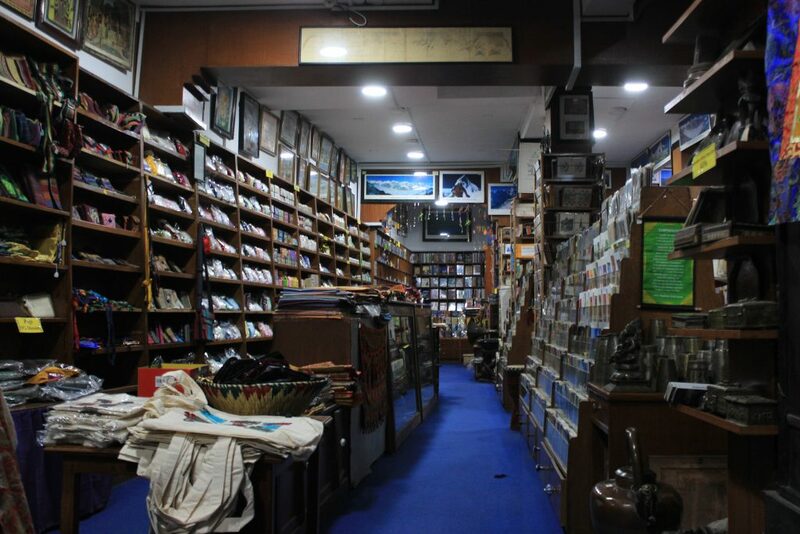 I could also visit my favourite place in Thamel, the Pilgrim Book House, which survived the earthquake. It felt nice to see something familiar after all the new things I’ve experienced. However, it’s even better to visit places that are not only familiar, but also pleasant. 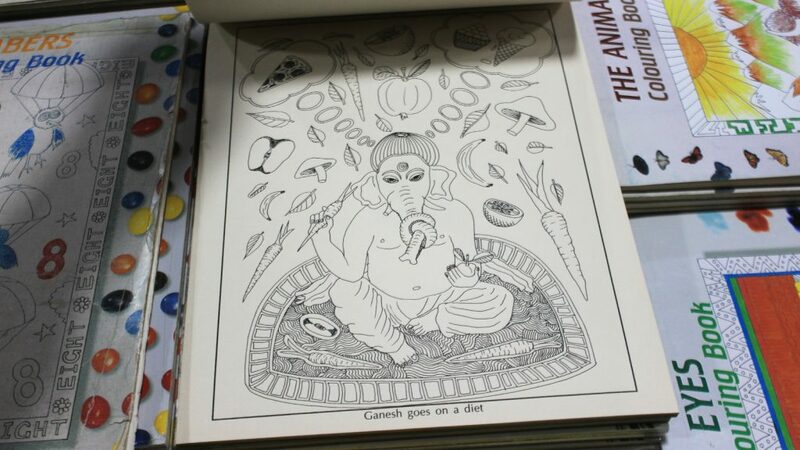 A Ganesh colouring book in Pilgrim Book House.